His pieces have engaged with, and reflected on (usually with the same mordant wit), the themes and preoccupations of the 'Sensation' generation of British artists, who were contemporaneous with Clark; the wonder of his work is the way it utilizes the formalist traditions of dance, while always seeking out visual, cultural, and aural reference points entirely alien to the discipline-including fashion.--Mark Holgate "Vogue "
Notorious for his continually subversive takes on classical dance, Michael Clark is without doubt one of the most important dancers and choreographers of our time. He has created some of contemporary dance’s finest productions, often using leftfield rock music (most famously in his fantastic collaboration with The Fall, I Am Kurious, Oranj). Situated at the heart of the British post-punk art scene, Clark is much admired for his judicious choice of collaborators, such as designers Bodymap and Hussein Chalayan, artists Cerith Wyn Evans, Leigh Bowery, Charles Atlas and Sarah Lucas, film director Peter Greenaway (Clark played Caliban in Prospero’s Books) and bands The Fall, Laibach and Wire. This monograph, the first on this major artist, celebrates the whole of Michael Clark’s career to date, from the late 1970s to the present. 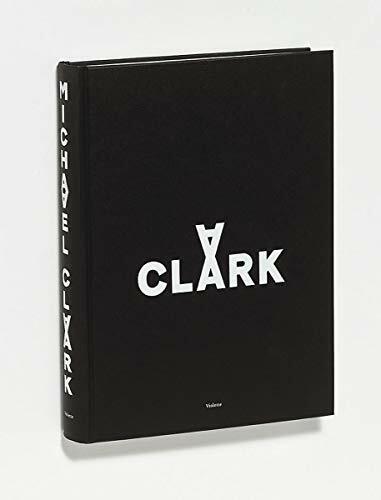 Rich in visual and archival material, it contains new essays on Clark’s work, reprints of key texts and journalism, photography by Nick Knight, David LaChappelle and others, plus interviews with many of Clark’s collaborators from the worlds of dance, art, fashion and music. A protegé of Richard Alston and Karol Armitage, Michael Clark set up his own dance company in 1984, at the age of 22. He immediately won the admiration of Rudolf Nureyev, who commissioned ballets from Clark for the repertoire at the Paris Opera. Clark has also been the subject of numerous films and documentaries, including the fictional biography Hail the New Puritans by Charles Atlas and The Late Michael Clark, directed by Sophie Fiennes. Michael Clark’s new ballet opens in June at the Biennale in Venice, and travels to Edinburgh, Stockholm, Paris and, in late October, to the Barbican in London.